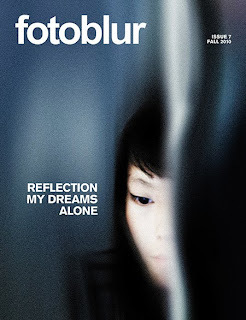 Fotoblur Magazine is a community-based, published photography magazine. Published photos are submitted by you. Fotoblur Magazine is published quarterly. First, join the community. Create an account in 4 simple steps (http://www.fotoblur.com). When magazine submissions begin, submit high resolutions versions of your best gallery photos for possible publication. Submit as many photos as you like. No restrictions and its FREE! Photos are then voted on by the Fotoblur community. From these top photos editors make their final selections for publication. For more info on how to get your photos published in Fotoblur Magazine read the FAQ (http://www.fotoblur.com/faq). Prize: Published work in Fotoblur Magazine. Submit your photo as a 300dpi jpg file. Save your image so that the width is 7 inches or greater (7" @ 300dpi = 2100px). Submit your images in high (80 - 100%) quality. Please keep the file size below 10 MB and refrain from adding borders, watermarks, or text of any kind. Fotoblur does not claim ownership rights in your works or other materials posted by you to Fotoblur (Your Content). For the sole purpose of enabling Fotoblur to make your Content available through the Service, you grant to Fotoblur a non-exclusive, royalty-free license to reproduce, distribute, re-format, store, prepare derivative works based on, and publicly display and perform Your Content.